T. Cooks, the signature restaurant at The Royal Palms Hotel, just announced their revamped fall menu, and trust me you need to try it! This season Chef Todd Allison is honoring the Mediterranean principles of uncomplicated as his new menu dives deeper into authentic cooking methods and preparations. "It's about seeing what age-old methods I can unearth and experiment with, and how I can keep our guests excited every time they join us," says Allison. "For me, it's about being authentic, not trendy. Everything on the fall menu is brand-new and right now I'm exploring Portugal; I look forward to changes and additions to the menu as I become inspired." Here's a peak of some of the new menu items I recently had the opportunity to taste. 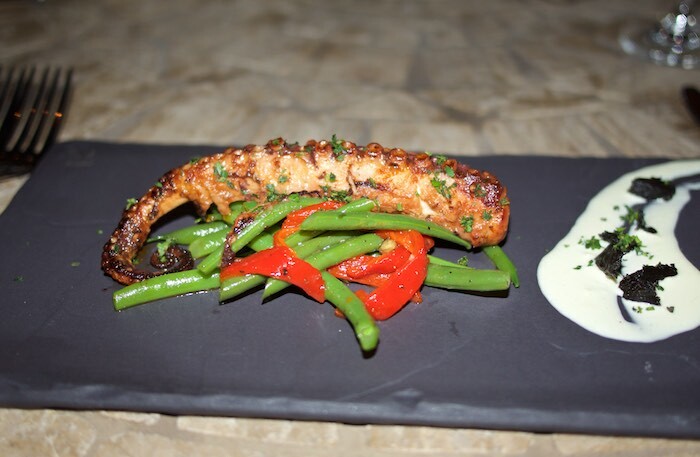 Tapas from the fireplace which included a roasted Spanish Octopus with chopped piquillo peppers and green beans. 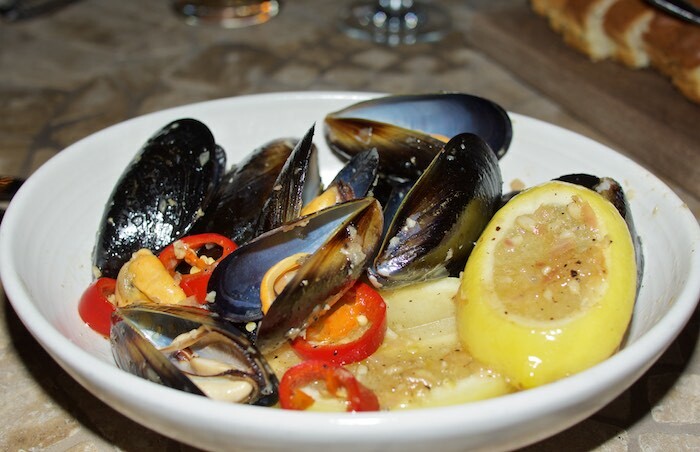 And delicious black mussels in a spicy white wine garlic sauce served with bread for dipping, which you won't be able to resist doing. 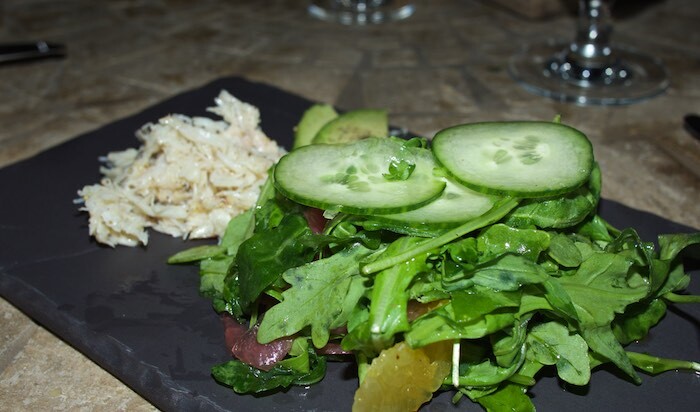 From the small plates and salads we tried the Dungeness Crab & Citrus Salad served with avocado, cucumbers and watercress. 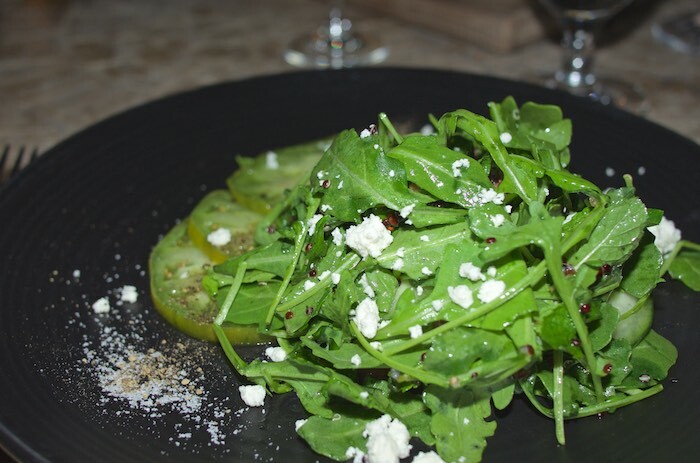 The flavors of this dish melded perfectly making this a light & refreshing start to the meal ahead. And my favorite the Wild Arugula Tabbouleh with heirloom tomatoes, quinoa and feta cheese. Words can't describe how much I loved this salad. 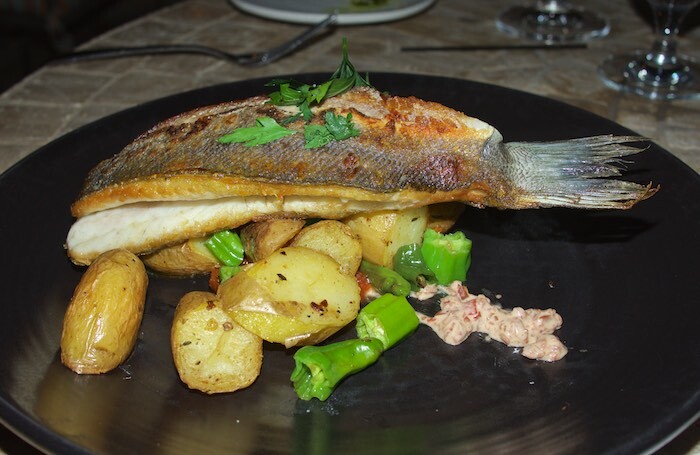 Our entrees included the New Zealand John Dory with baby fennel, potatoes, and sunchokes in a creamy aged sherry sauce. Don't you just love the presentation? 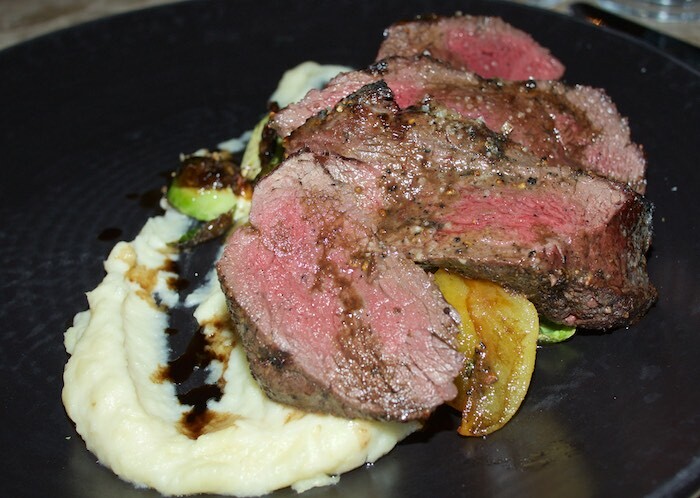 We also had the grilled venison loin served with roasted Sonoma apples, parsnip puree, Brussel sprouts and 25-year old balsamic gastrique. It tastes as good as it looks. Since no meal is ever complete without dessert we sampled the Whiskey Brownie Sundae. 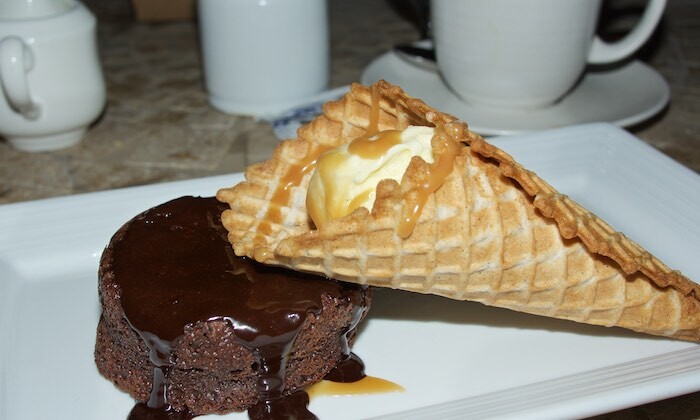 Topped with Jameson vanilla ice cream, Guiness chocolate sauce and a cinnamon waffle cone, this is a dessert that should not be missed! It doesn't get much better than fall dining at T. Cooks. So grab a sweater from your closet and head to dinner! Simple, Mediterranean fare is of my very favorites. The John Dory and arugala tabbouleh look fantastic! Wow! Everything looks amazing! Love that parsnip puree and brussels sprouts! Those look like some great new items! I'm trying to decide what to order for dinner and I see this! Now I am starving and I have is pizza. Looks fabulous! Nice! That lineup looks luscious, I want to eat there! Wow, everything looks so delicious! What a menu. I would like all of that and a room with a view STAT! You always share the best looking restaurant food. This menu sounds incredible! Drooling over that grilled venison loin! This menu looks fantastic and that salad - yum!